No better way than managing your Lawn Turf than dividing it. Part manicured part wild, has great effect and structure. We can create this Lawn Structure look in one year if turf/seed early. 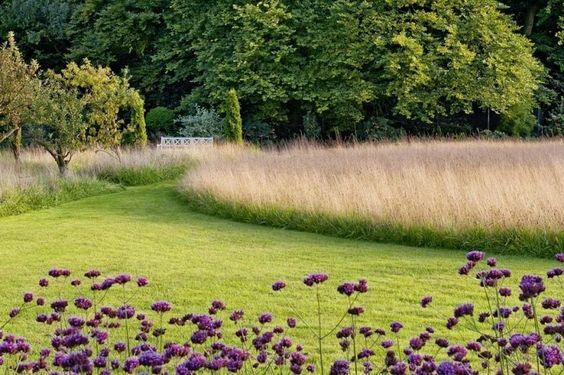 Create Paths with mown grass, big areas of one plant verbena bonariensis, Fruit Trees and Wildflower Turf. Installation initial moderate, Management time minimal, years of fun.